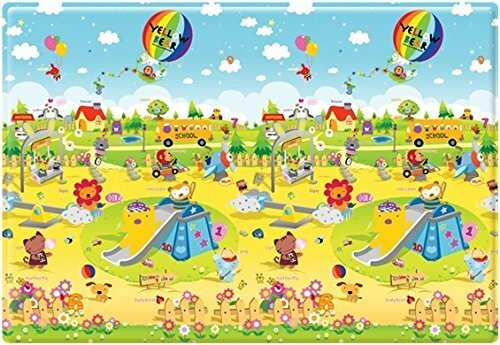 Parklon presents the Yellow Bear School Bus Play Mat. This is an essential item for your child's emotional and educational development. The Parklon mats thick construction promotes safety and helps prevent accidents that may commonly occur. The double-sided design features fun and colorful characters on one side and numbers on the other side, so your kids can learn while they safely play! Order your Parklon Mat TODAY! Size: 4'3" x 6'2" x 0.5"